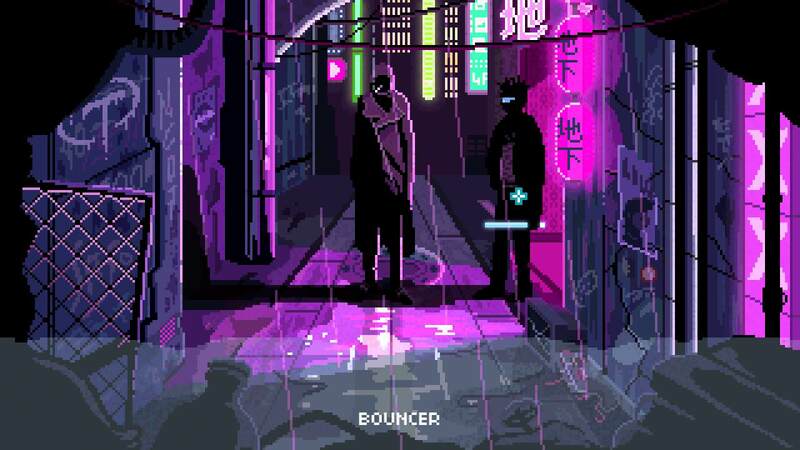 If you are into Cyberpunk and adventure games, then there’s a huge possibility you stumbled on VirtuaVerse, a pixel-based, point-and-click adventure, narrating tales of technomancers and virtual reality debauchery in our not-so-distant future, developed by Theta Division Games. The game is still in the early stages of development but whenever its developers release art or music (produced by Master Boot Record) from the game, fans go wild with excitement. We know that the game will be in development for at least one year but today it was announced that Blood Music, one of the most successful indie labels that focuses on ultra-quality editions of classic and cult metal albums plus some darksynth heavy hitters like Perturbator and Gost, just entered the world of videogames. The label will act as a publisher and distributor of VirtuaVerse when it releases, probably in 2019. With the announcement also came a new trailer showcasing gameplay and some of the areas and characters of the game. You can watch it below.